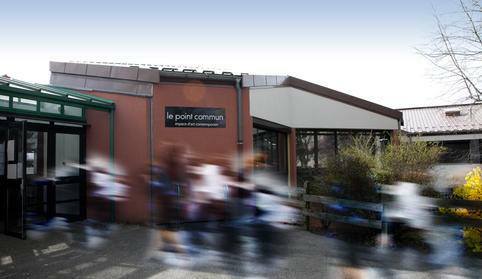 Le Point Commun is an art space dedicated to contemporary art, its mission is to promote and share contemporary creation. Since January 2010, it is run by the association C.va.D, law 1901. Designed as a place of meeting and dialogue between artists and public, it is at the same time space of exhibition, production and cultural mediation . Le Point Commun is supported by the City of Annecy, new commune, the Department of Haute-Savoie, the Auvergne Rhône-Alpes Region and DRAC Auvergne Rhône-Alpes. Conceived as a place dedicated to contemporary creation, It is a place of exhibitions, residences and productions of works. It welcomes emerging or confirmed artists, alternating monographic exhibitions and group exhibitions dedicated to young artists. Its action aims primarily to offer artists an environment conducive to creation whether it is the organization of residences or support for the production of new work. Over the course of its development, the PC is also positioned as a place dedicated to the emergence of young artists through its programming but also by developing in 2018 a new form of exposure: Interludes of a few days between each exhibition, dedicated to young artists, performances or workshops. The place seeks to promote the meeting between artists and audiences, and offers activities and tools that promote listening and dialogue.